Years ago, facility managers balked at installing hand dryers because they deemed them pricey, noisy and messy from the water they blew onto restroom walls and floors. Restroom patrons didn’t like them either because they feared they spread bacteria and complained they took too long to dry hands. This is no longer the case as high-speed, energy-efficient hand dryers take the industry by storm. “We’re seeing an increase in the use and awareness of high-speed hand dryers due to the financial benefits they provide,” says Dan Storto, president of World Dryer in Berkeley, Ill. In addition to the financial benefits, he believes facility managers are tapping into dryers for their green and sustainable capabilities, as well as the improved hygiene. While it is true that facilities incur a cost to install high-speed hand dryers (up to $600 or more per dryer), that cost typically shows a one-year return on investment, reports Excel Dryer’s William Gagnon. “With their higher performance and higher efficiency, you get a 95 percent cost savings versus paper towels, and eliminate labor, maintenance and waste,” says the vice president of marketing at the East Longmeadow, Mass.-based firm. Consider that it takes 17 trees to make one ton of paper, and that the average cost of paper is 2 cents per towel versus 1/10th of a cent using hand dryers, and it’s easy to see that the return on investment can be fairly quick with these units, according to Kevin Knapp, director of sales and marketing at Palmer Fixture in Green Bay, Wis.
“From a payback standpoint, there is an initial cost to hand dryers but then there is usually a 9- to 12-month payback period because you are no longer purchasing paper towels,” he says. The units are virtually maintenance free as well, eliminating the time and expense it takes to order towels, manage inventory, and stock dispensers. 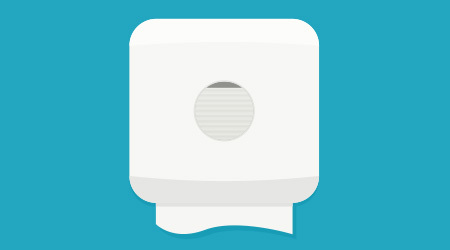 “In a public restroom, you can cost-justify a high-speed dryer in almost every case on labor savings alone,” says Storto.